The latest Zelda installment, Cadence of Hyrule, came completely out of left field for most of us, myself included. But as a huge fan of Crypt of the NecroDancer’s addictive gameplay and kickass soundtrack, I’m insanely hyped. When the Cadence of Hyrule trailer dropped and we learned that it’ll feature 25 remixed Zelda tunes, it got me thinking about what kind of remixes we’re gonna hear in Crypt of the NecroDancer’s style. And you know what’s funny? Not long ago, I came across an awesome remix of the Stone Tower Temple theme, which I remember thinking sounded like it could actually be from Crypt of the NecroDancer. 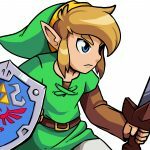 So, when I learned about Cadence of Hyrule, I immediately thought back to that track, and quickly found myself down a rabbit hole listening to others that I think would fit right into the game. For a while, I imagined how incredible it would be to hear these in the game. Then, I remembered: the Crypt of the NecroDancer allows you to add your own custom soundtrack on the PC version. So, feeling eager to make this fantasy a reality, I’ve returned from this remix rabbit hole with a bunch of tracks, mainly from remixer dj-Jo (who made the Stone Tower Temple remix I mentioned) but also a couple others, and have compiled them into a custom soundtrack for the first couple of levels and bosses of the game. I figured this would be a great opportunity for me –and all of you lovely fans — to get an early taste of what we’ll experience once Cadence of Hyrule arrives. For those of you that don’t know about Crypt of the NecroDancer, it’s a rogue-lite, dungeon crawler/rhythm game, where your character has to move and fight to the beat of the music. Have a look at the video of me below playing it with my custom Zelda soundtrack and rock out! I would normally advise against using a track like this for Zone 1-1 — it’s crazy fast! But I had to kick off the run in style. As well as a full list of the tracks I’ve used, here are some of my highlights and thoughts about what makes them so darn catchy. How could I not include the iconic Legend of Zelda theme on this playlist? Dj-Jo has turned it up to eleven in this remix, with those incredible drum beats and retro sounds that’ll get you rocking your head along to the beat. Although it’s not my favorite of all the remixes, even I can’t deny how much of a new energy it brings to this classic tune. I thought it’d be a great way to kick off my Crypt of the NecroDancer run, since we all know this beat by heart. Ah, the track that started this whole remix ride! When I first heard it, I was immediately reminded of Crypt of the NecroDancer’s soundtrack. If you compare it to Crypt of the NecroDancer’s original Zone 1-1 track, you can hear all the similarities in the underlying beat and tone. It’s a chill, funky tune, and yet has an air of danger to it, which is the exact same vibe as the Crypt that you must descend in Crypt of the NecroDancer. It’s quite a different sound to my favorite Stone Tower Temple remix, but it works so well for the eerie land of the dead that is Ikana. Am I the only one that sees some parallels here to the dungeon in Crypt of the NecroDancer, which is full of the undead? Molgera’s boss theme from The Wind Waker is iconic, so this remix was a no-brainer to include on my playlist for one of the bosses. I love how this remix retains that iconic and original chirpy sound while also adding a more emphatic drum and bass line. It gives it a whole new energy that I think fits right into a Zelda and Crypt of the NecroDancer mashup. Now, I haven’t actually played a lot of The Minish Cap myself (it’s top of my to-play-next list!) but I couldn’t pass over this menacing beat. I went and listened to the original to compare, and — this is probably because I have no attachment to the original — I have to say that dj-Jo’s version is hands down the more booming, intense version. I’m hooked on it! It’s got that perfect, intimidating vibe for a boss battle, so I absolutely had to add it to my Zelda x Crypt of the NecroDancer playlist. There’s one Crypt of the NecroDancer boss in particular, King Konga, that has a unique beat pattern in the game, where you have to stop for one beat every seven beats. 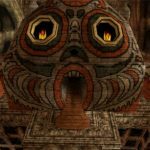 Call it fate or coincidence, but given how hard it is to find a custom track for such an unusual boss, dj-Jo’s Vaati’s Wrath remix fits it ridiculously well. This boss didn’t actually appear on my run, as they’re random, but I wanted to show you this song in action on it. So, I recorded a quick video of me fighting him in the practice room for a taster. Have a look at the short clip below. It felt so good fighting him with such an intense track in the background! I hope you all enjoyed this wild trip through a bunch of highly energetic Zelda beats with me! Playing the game with a custom Zelda soundtrack has got me so pumped for Cadence of Hyrule, so I think I can safely say it’s a day one buy for me. What do you think? Are you all as hooked on the beats as I am? Don’t forget to go listen to dj-Jo’s music!